Work for Oracle EBS CRM? "All in one complete Business Suite. " It is easy to understand and needs less preparing when contrasted with different applications. it has different instruments like jdeveloper and so on to construct the applications. It creates parcel of work and part of extension for upgrades. Capacity to change the program how you need it to show up. Unbelievable work process endorsements for a few procedures, Accounts Payable specifically. It would experience the Delegation of Authority chain after it's been coded. Steps it takes to search for an exchange since there were a few modules. When I take a gander at a general record account detail, I need to go to an alternate module to really locate the definite line and clarification. I profoundly prescribe working with a specialist gathering to help with your usage, yet more vitally, to likewise to have those experts work intimately with an inner group that will end up being the inward advisors for your association. The upkeep and continuous advancement of the product is critical - you will require those people to be the topic specialists on the diverse modules of the framework once go-live is finished and the advisors have proceeded onward to another task. Enabled us to build up an unbelievably mind boggling work circulation application that keeps up our general record. Utilized them for deals orders , client administration and helpdesk , now on this days we just use it for deals orders since we moved client administration and technical support (helpdesk) to another application. In the past the suite was comprehending a ton of issues since we use it on a few offices like , client administration , technical support and deals. "The system seems dated and isn't very user friendly. " I like the amount of details the system covers. The tabs allows for several opportunities to include detailed demographics for patients which is helpful for accurate data entry. I disliked how it was very confusing to learn and seemed almost dated. It was really easy to get lost in an account and there were many instances where I wanted to edit or remove something but had to ask for help and found it was in a whole different tab. It got kind of frustrating and it slowed down the work pace on a busy day. Take time to train with it and shadow someone using it because it is very confusing and takes some playing with to get the work flow going. For audits, it solved the problem of being able to detect demographic details that were missed on orders that were to go out. We were able to catch these errors before an inaccurate claim was submitted which helped us save time. "Oracle EBS User friendly "
Oracle Applications or Oracle Apps is ERP solution provided by Oracle, and has the second most market presence (first being SAP). Oracle apps comes with different business solutions like HRMS, Finance, Manufacturing, Supply Chain, Advanced Planning Suite etc. One or more of the modules may be implemented. Oracle apps can be implemented for any business ranging from Semiconductors to Healthcare, Aeroplane to Telecom. Oracle makes sure that most of the business features can be implemeneted. But parallel to this, Oracle provides ample space for introducing customizations. "Works 99% of the time"
I enjoy how the program works fast, is easy to use, and rarely goes offline. My business has 500+ employees and having a program that can handle that much use is very important. When updates are done in the system they can take almost a full day. Updates in my business are done when my store is closed but when updates come out in the middle of the day, then that's when I become frustrated. EBS CRM is great for large businesses. I'm not sure how the pricing works since I was only a user of the system and not paying for it. I was with my last company for two and a half years and that was the only product I knew of and always had an easy time using it. My business has been a lot more productive and my databases seem to be running better using CRM. I like that it is fairly easy to navigate and the features on the site are user friendly. Fix the log-in issue, where it requires a secret code everytime after entering password- I know who I am and if someone attempts to hack an account that much you should talk to the emplyoee and find out what is going on! Compounding all employee information into one page, makes it eays to find what you are looking for but only if you can log in! "Oracle E-Business Suite CRM Software"
Working with Oracle support requires some patience. I like the fact that it is web-based, and depending on your organization's security setup, you can access it from anywhere. "Lots of glitches and bugs"
It is very customize able, great features and benefits. Too many glitches and bugs. I shouldn't have to refresh the page every two minutes. It's rather complex to input the simplest data; I find myself relying on a Microsoft excel spreadsheet to track data. I recommend keeping CRM very simple and confined to being a basic database as opposed to having all sorts of unnecessary bells and whistles. This is too much in my opinion, and I feel the same way about Salesforce. In the mean time, fixing the glitches and slowdowns constantly experienced would be a great benefit. I am able to keep records of leads and companies in one platform. Well . This tool has been used to be able to move forward with your customer segment based on your company goals. In my case as i work as consultant with HR company. My role is to find the needs of customers which they are the companies that looking for outsourcing thier department. With EBS CRM we got easily sorting the data and looking what customers are in need to outsource based thier topical performance of the year. Based on all these assumptions and data sorted we can productively produce helpful repprt for our customers that can be easily implemented. Based on my usage with my team i hadn’t face an issues but the speed of sources data can put the effort on it. As hr company our customers are important and we working deeply into tiny spots of our customers issue to solve in reasonable cost. "Use it because it has all the info I need to ensure a great client experience "
The amount of information the system can store and hold. I can virtually find all information needed to be able to answer client questions quickly and have a complete understanding of the past discussions, past bankers,past products/services discussed. The actual experience/task to find information. Too many steps involved with terrible noise that dings telling you you are incorrect. You will need to take some time to fully understand all of the features that you can utilize. Creating a crash course or top 5 things to know how to would be helpful. Provides a ton of client information in an organized format, keeps/logs past referrals, meetings, and conversations. Lists new leads and has the ability to save from a code list as well as track the amount of touches. Provides insights on clients and there possible needs they may have searched it looked into in the past. "Easy to Understand and convenient to use"
1. Ease of installation as no additional software is required to start working on it. 2. Seeded Oracle API's are used internally to access the business logic and the same API's can be used to further customize based upon the your business requirement by simply using the seeded API's in the custom code. Nothing much to dislike, but from a developer perspective, it also requires you to understand the implementation from back end perspective as well, like the corresponding oracle table names, their joins, etc with other standard Oracle tables. it is not very complex and very comprehensive tool to use. Also, can be used by small companies/ business, but also by very large businesses and distributors. Our client is a distributor, so a lot of customers/ suppliers their bill to ship to's, customer types, their relationships, etc. have to be saved in the database, for which Oracle EBS has been implemented, and helping the business automation in a big way. Its web based and can be accessed from anywhere. Can be customized as per requirements and I like the way it organizes things so clearly and efficiently this makes expense reporting much easier for us. 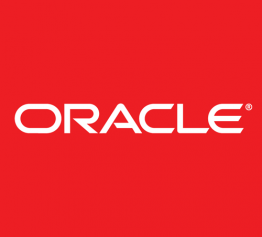 Oracle is comprehensive, easy to use and very straight-forward. Sometime it is very slow especially when you export the heavy files and I run across so many bugs. A lot of training is required to take full advantage of this system but it is a good software. Sales and marketing problems, helps us in record keeping and it has helped us to keep track of customers. Simple ways to keep track of customers, sales etc. not overly complicated just does what it’s suppose to do. It’s all in one solution for all major needs of business. You can integrate all oracle system with each other which gives your perfect result, because the entire system developed within a group. Oracles EBS provides you integration with advance technologies including Web Server, Java and Apache. As compare to other ERP’s deployment. EBS implements is lower in cost. It offers you customized reporting features to which you can create a dashboard as per business needs. The functions, which EBS offers, is not user friendly. Therefore, you might need a training in order to understand EBS features. It only works on best practices of businesses. Its not possible to create your own process flow whereas EBS provides you all the processes which have been in practicing in businesses globally. The cost of system is higher. It would suggested. Go with EBS only if you Medium level or above enterprises. Sometime it works slow, ,when you export the heavy files. The key reason of investing in EBS was to boost our business efficiency and smooth operational activities. EBS has an excellent exposure with different mjultinational groups. They offers several products with the same terminology which help users to integrate, if you are using more products of Oracle. You are open for idea. If you want anything needs to be added which was never be part of Oracle. . I have been using Oracle Ebiz suite from last 6 + months. I feel it is designed very smartly. Though I feel if Oracle can produce an ERP which does End to End HR process that would be more benificial something like SAP. The extra field very useful to get extended information. But some bugs haven't been fixed completely, so we have to use bugfix everytime the problem happen again. also Need to have End to End HR ERP. I dislike how clicking the wrong boxes can mess up your hotkeys and you must exit the window to fix the issue. If you're this can be fixed the product will be better by tenfold. Hopefully this is something that can be addressed in the near future. Oracle's integrated Customer Relationship Management (CRM) solution is a set of applications that give you information-driven sales, service, and marketing. ... With Oracle CRM, your company owns the single best tool for customer success—accurate information. "Easy to use once you figure out the unique features"
Ability to put in timecards on a weekly basis, and see how project labor is split up between different activities. It is also useful for using the punchout system to make requisitions. This allows us to obtain required materials in a timely fashion. Oracle is very glitchy. It often goes down unexpectedly and deletes user data. It also runs slowly, and the menus are usually far from intuitive. Employees are able to self service time cards. This saves management downtime on approving timecards. "My 22 years with Oracle EBS"
It has a full feature set to met any manufacturing requirement for business. As the applications evolved it has become possible to do the same thing many ways and it leads to user confusion. You should consider the cost of maintaining ERP software. In house costs are high and you will end up hiring a lot of staff which may not be what your company needs. With Oracle's new cloud solutions, that cost of internal maintenance its driven down. EBS is a suite of apps which allow you to run your business, otherwise you are forced to use incomplete tools with various interfaces. The benefits are a global solution and control. "Oracle - Industry leader, not the greatest analytics"
We recently upgraded to a newer version, and I like the easy ability to get reports and switch from one type of role/permission to another. I also like being able to look up POs in progress to see what they are waiting on. I wish we were integrating other project management and automation tools with Oracle to provide true ROI for marketing activities. I also wish the tool came with a more robust support and training so that we were able to understand more about capabilities. I fear we are under utilizing functionality that we simply don't know exists in the tool. I really recommend this as your go to for purchasing and expenses. We use this for all purchasing and expenses. I use it for POs and invoicing, along with standard expense reports. "Wow...is all I can say "
Oracle's software is easy to use and intuitive if you're familiar with any oracle product. The standardization that comes with any oracle system is always appreciated. The interface is clunky at times, feels like it was based off an older windows version and hasn't yet but updated. We use windows computers at work but it would be nice to test on mac os to see how it compares. If you're familiar with any oracle system you'll find EBS CRM intuitive. I would suggest using the trail period before committing to buy but you really need to use the full version to truly appreciate the software and judge whether or not it will work for your particular application. For the most part I have always blindly trusted Oracle for all business applications. Oracle EBS CRM helps with our business development across several business units. We train all our new employees on how to use the system. "Slick customer relationship management tool "
It is so straight forward and easy to use. We have tried like four different ones so far and this was by far the best and easiest. No time at all can train anyone to use it. Integrates well with other Oracle modules in case that would also help you. It is very customizable to where you can actually have what YOU want. Took a little while to install on the user's machines, but that can be the case with some software. Requires a lot of patches to stay up to date. Give it a try. Can really be used for a lot of functions and the best part is you can scale it to the size of your company. Solves our customer relationship issue. Best part is everyone on our network can use it no matter where in the world. We even having a guy working overseas and eyeing some potential new development and he in it with all the guys we have here in the US. "Oracle EBS CRM Review "
I like how vast and efficient this software is and how effective this software is in a sales work environment. The only thing I would dislike is the randomness of the freezing that has occurred; due to several updates with the systems software. However that problem hasn’t occurred in the last 6 months. Troubleshooting orders, obtaining inventory information, and validating information within the systems software. The benefits is the major improvements within the last year that has cause the Oracle EBS CRM software to work smoothly and quickly within the workplace. "Good place for a lot of information. " I liked the sorting options for Oracle, and how useful the information was on there. I liked not having to search through old emails, and only had to go to one place to find information. I sometimes had to dig through several files before finding what I needed. However, that was more an issue of the organization rather than Oracle itself. It put a lot of important information into one spot, which was very helpful. It made finding documents and policies much easier than sifting through various emails. Oracle EBS has a very outdated UI, but in all honesty it gets the job done. It's more or less a backbone for us regarding shipping, customer database, and simple notations. Its just feels outdated, but I have to add that it seems to always work reliably and how you need it to. In fact, in some cases some newer services we have run into issue and I rely on EBS to more or less gets the job done without hassle. It is more or less the backbone of our Oracle Service Cloud solution, but it all honesty it's reliability is unparalleled. "Easier than our old system, but has its faults." I like that everything is electronic and up to speeds without loading or stalling. I like how vivid all of our stats and information is to us while working. I also enjoy their customer service team and their troubleshooting. I dislike the amount of time it takes to get ahold of the company when there is an issue. I dislike when the system freezes or she's itself down to do updates during business hours. More timely on orders and better labor percentages per hour. "Oracle CRM, behind the times"
That they've actually sort of upgraded the UI. The fact that the usability is still poor. Quoting is laborious and breaks all the time. Id say unless it's the cheapest and you have existing investments in Oracle, then it's really not worth it. Oracle is very far behind other solutions and is very difficult to work with as a company. Little value is gained by CRM, its a reporting tool. No proper analytics is available and opportunity/account history is gathered in different tools. The organization is easy to understand. Each category can dive you into a rabbit hole, so while it looks like its straightforward and what you're looking for its just a nice mask to a more complicated interface. Using it for performance management tracking and eliminating excessive paperwork that needs to be kept and managed over the year. At the end of the year, we are able to use information inputted throughout the year and already have it compiled for a yearly grade. Allowed us a single tool to allow for interactions between us and company and allow for better information management for sales data. Many additional CRM specific apps to allow for adaptation and increase our productivity. Definitely better than the similar SAP product we tested briefly. Several different components to it many it a little confusing and I know myself and co workers who were using it, got confused at times and worked with IT to get certain things straightened out, but after that and the initial adaption, wasn't that bad. If you are involved with the sales process, definitely give it a try. It definitely fills a void in the market and can be taken advantage of to assist in your business improving sales and customer relations between clients. It is very essy to learn and use. This isn't something that requires a lot of training for. there's nothing i dislike about it. It has all the features i want and need. "Oracle makes it easy to keep up with employee information "
I like that i can access the necessary information from a web page version, instead of just using the application on my laptop i can use it on my phone in the field. I like the updates to show direct reports and filter for territories i am covering. For my purposes everything works well. Maybe a reminder email setup option for requests pending. I find if i don’t actively open my profile i may miss pending items. 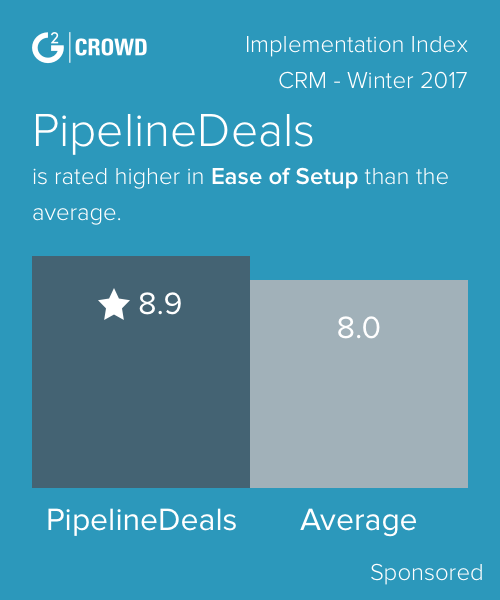 "Great and relibale software "
The design to help sales, services and marketing departments make information driven decisions and manage costs. Time keeping arrangement could be better. "Decent but not quite perfect"
The system is easy to navigate. Simple answers to most problems that occur. The system seems to lag and need a rebooting everyday. Unsure if the lagging in the system is due to daily updates, but perhaps stagger the updates out rather than making it overload the program. It's easy to organize everything from client reports to future business prospects. "Customer and student account management"
I like that we have a central location to view our client/students information. This allows us to review the information submitted to us and ensure that their data is merged to the correct file. Menu navigation can be complicated. The search feature does not always lead to the desired option. We also have issues we the favorites feature will clear so we will have to manually remark the options we use most often. We have been able to track when materials are sent to us and ensure that they are merged to the correct files. This also allows us to determine if materials/data are missing. I may just be unaware, but there isn't any training given to us via our institution... Wonder if it is provided via direct market. I specifically use it for scheduling, timesheets, hiring students.. we have to, not sure about the benefits. "Limited experience but easy to use"
I like that Oracle is easy to navigate and I can pick up where I left off. I don't like the sensitivity that EBS has when working off of my keyboard- I like to be able to hit enter to submit something, as opposed to clicking with my mouse. EBS has helped us stay organized and understand committee roles and responsibilities. I like that our department is able to run reporting, research customer inquiries and submit financials to our customers all in one system. User security and credibility in security encryption for accessed web addresses. Tracking and security access for said web addresses are held accountable for user experience. This program has multiple functions and serves a great purpose with the company I work for . "Use oracle on a daily basis at work "
Oracle is organized and helpful. Easy to use database. Does not give me any issues day to day.. The interface looks a bit old and outdated. The blue and white is very Microsoft 2000’s. When you search the Inventory it is sometimes hard to read the numbers because it seems as though the “cell” is centered off to the left of the screen and can’t enlarge, so it kind of smuches everything together. Stock organization, stock transfer, inventory management. "best ERP platform one can experience"
It offers some basic workflows but the main business process management tool is absent. Also it doesnt sync with gmail. "Easy to use once you learn it"
The fact that with the backup system, I was able to print out previous dates that the system was down. "Great customer relationship management too"
Oracle's software is easy to use and intuitive if you're familiar with oracle products. The standardization that comes with any oracle system is always appreciated.Oracle's software is easy to use and intuitive if you're familiar with any oracle product. The standardization that comes with any oracle system is always appreciated. Not always intuitive and user friendly. The system seems to lag and need a rebooting everyday. EBS has helped us stay organized and understand assigned roles and responsibilities. This software is customizable and has the ability to hold a ton of information and data which is great. Took a little time to get familiar with, can be difficult to navigate at times. Tracking sales, leads, and progress with current customers/patients. Users look and feel is extremely friendly. Easy to navigate and enter information. It makes expense reporting much easier. I like that Oracle platform is easy to use. Oracle also offers a comprehensive management tool package which fit my needs. It has helped me decrease my costs and increase performance more than any software I've used previously. I highly recommend this service. There are many bugs that exist within the framework. For example, clicking the wrong boxes can mess up hotkeys. I end up wasting time and having to restart the application. Oracle has industry wide solutions, it has aided me with referrals and customer tracking -It is designed to make the users experience more efficient. "DHL Oracle Solution Called COMET"
The tool can be very usefull once you have experience with it. "Oracle: still has room to grow"
Their safety concerns are like a double-edged sword: obviously good to protect people’s identities, but also frustrating at times (see below). If you are inactive for even just a few minutes on your laptop, it times out, closing you out of your current session and disrupting your work. As a graduate research assistant, I frequently leave my laptop to attend to lab tasks at hand. When I return to my computer and see that my session has timed out, it can get really frustrating. Learning about Oracle EBS CRM? * We monitor all Oracle EBS CRM reviews to prevent fraudulent reviews and keep review quality high. We do not post reviews by company employees or direct competitors. Validated reviews require the user to submit a screenshot of the product containing their user ID, in order to verify a user is an actual user of the product.